The pool for your home is finally here! 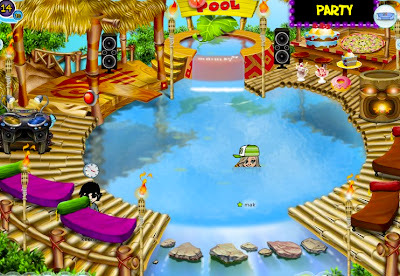 Decorate it with poolside furniture, food and party items. Then invite all your friends over for an amazing pool party. You can jump in the pool to cool off or just sit on edge of the pool and let your feet hang over the side. The pool is sure to become the place to meet on SecretBuilders.